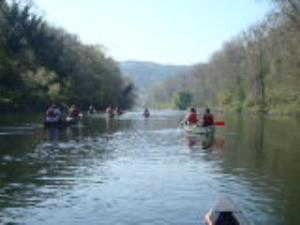 Using the River Wye near Monmouth as a venue, come and learn the basic skills and techniques required to open canoe. In pairs your instructor will provide the knowledge and coaching required to successfully paddle the River Wye and the Symonds Yat rapids. Whatever level of experience we will ensure that you receive the right coaching to match your ability. Ideal social activity for families and groups.